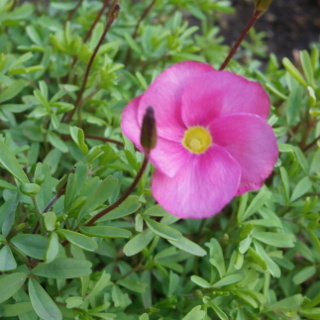 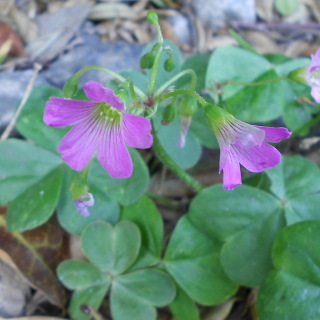 Bowie's wood-sorrel blooms 4 - 5cm big pink flower. 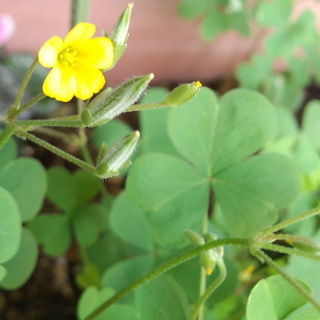 The leaves are three heart-shaped like clover. 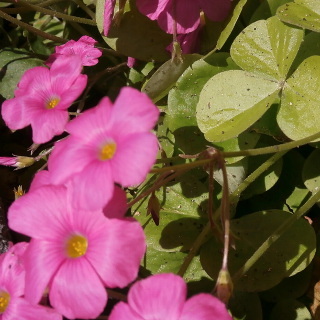 You can see by garden and/or roadside.